Early in December, we went to Real de Catorce to celebrate the birthday of the Nobleman in the movie the Mexican. He, indeed is the Nobleman. For four days we danced and celebrated the 70th birthday of this very great man who many know and many love. One morning as the festivities were beginning, we arose early and walked to the sacred mountain four miles away. We were to get there before the sun arose and we did. There we participated with two shaman and their families and about forty of his friends and family. There on Quemado, we were blessed with the waters, the mescal, the winds, and all the sacraments of the Huichole tradition. As we left the 11,000 foot peak, we followed the 87 year old shaman who glided effortlessly back to the 300 year old village. For the Huicholes, the area is called Wirikuta. 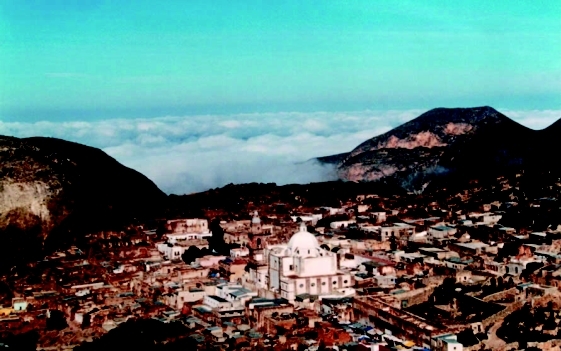 For most of us, it is the state of San Luis Potosi. Four days later, we left San Luis and flew back to Austin early in the morning. We arrived around 12:30, but instead of turning left coming out of the airport, I turned right and headed east towards Bastrop. For the next four days would not be full of mountains, and deserts, Huichole Indians, dancing and celebration with good friends and family, but rather the next four days would be full of resort food, majestic pine trees, video production crews, well known speakers, colleagues, and thought leaders. It was the Texas Renewables 2012 conference and this year it was a doozy. Roger Duncan, sited by Business Week as one of the top 20 humans fighting climate change on the planet, somewhere right in front of Tony Blair, opened the conference with Everything is Energy. Roger was followed by Peter Fox-Penner who talked about the Smart, Low Carbon Energy Grid. After that, Brewster McCracken took the stage to talk about the Pecan Street Project in Austin which is an embodiment of the Unified Energy System where 200 of the development's 600 well designed smart homes have roof top PV and 60 homes have plug in hybrids. Tom Smith of Public Citizen couldn't make the electric car panel, so he and his staff created the Renewable Dream video which played on the two giant screens instead. It was beautiful. After lunch we brought on Mell Lawrence to talk about the Built Environment. I followed with the "The Solar Age Comes"
We closed the day with David Freeman, one of the most famous Public Power managers ever. He made it clear that the "Revolution is Now". The next day, we opened the talks with Heidi VanGenderen and her talk, The One Certainty. After a great luncheon, and some impressive breakout session, we finished with state representative Mark Strama. You can see all the videos and more as we get them uploaded at our Tex Renew you tube site. In eight days we had watched the third quarter moon move from over our heads as we force marched in the dark to the sacred mountain of Quemado to moving into conjunction with Venus on that first morning we started taping. We had gone from Everything to Everything. And it was all energy.